Beautyqueenuk | A UK Beauty and Lifestyle Blog: Nutmeg - Are you Savvy? Nutmeg - Are you Savvy? “Greed is good” or so said Gordon Gecko from the 1980s hit film Wall Street. With inflation rates and interest rates running at all time lows, the simple reality for most savers is that simply depositing money in the bank will see little returns or the actual erosion of the initial capital (the amount you originally put in the bank). Nutmeg, who London’s Evening Standard (the evening newspaper in the capital) called “an online wealth manager causing a stir” is a website that offers all kinds of financial products, tips and advice from Individual Savings Accounts (ISAs) to personal pensions. When I was asked to take a look at their website and jot down my thoughts I have to admit that I logged on with some knowledge of financial services, BeautykingUK having worked in the sector for a good ten years (ten years ago) and some of that knowledge (read boring facts) rubbed off. For the less investment savvy Nutmeg is perfect. The site is brilliantly laid out for the novice, written in plain English and really is geared up to help you and I, the general public navigate the veritable minefield that is investing your hard earned cash. ‘Based on your information, we build and manage a portfolio for you, diversifying your investments to avoid putting all your eggs in one basket. Our experienced investment team monitors your portfolio, adjusting the asset allocation appropriately and rebalancing every month — at no extra cost. After scouting around the site some of the most important things to factor into your own investment portfolio and decision making process as to whether you should actually invest are your own attitude to risk, the fees your investment manager will charge and the size of any pooled investments. While attitude to risk, affordability and product choice is down to individual circumstances, the Nutmeg website is clear and dedicates an entire page to their fee structure. So, all open and above board. In addition to this, there are lots of helpful sections of generic advice for new investors or those who already have holdings elsewhere. Great stuff. Before deciding whether or not you should take the plunge and develop your own portfolio I would strongly recommend that you seek independent financial advice from an advisor regulated by the Financial Conduct Authority. The website is easy to navigate, has a great search function and explains everything in language that the man, or woman on the street will understand. 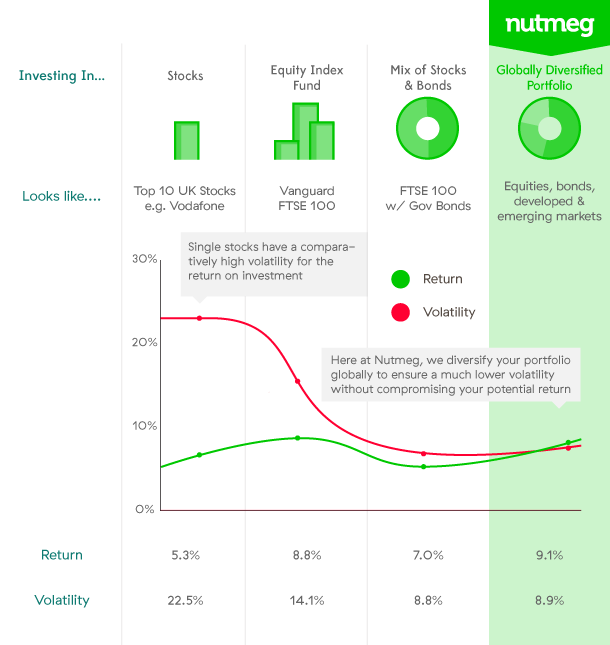 Investing doesn’t have to be a minefield and I would recommend Nutmeg as a good place to start your investment journey. Interesting! At least it makes the world of banking seem a bit more exciting. I am good at budgeting but apart from that my finance knowledge is not up to scratch! this sounds up my street. Very interesting read have to say get people thinking. 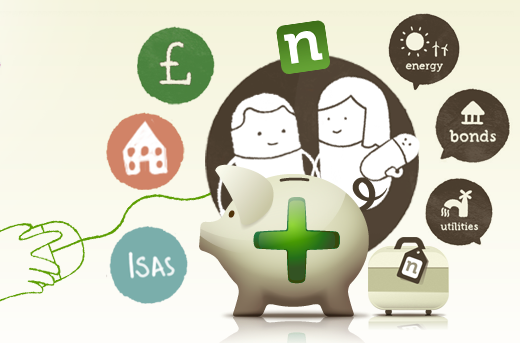 A site that makes financial decisions easier is a good thing! I tend to hand the financial stuff to my husband! Seems like a interesting webpage to look into. Wish I had all the money to think about these investing options! Sounds really interesting. I have to say I find financial investments confusing but this does sound like a good place to start. Sounds interesting not something I have looked into before. If only I had anything to invest! I could do with some financial advice, Sounds like a good site to start off.